For the first time Cochin International Airport has suspended operations due to heavy rains, shutters of 33 dams opened. Kochi: For the first time, the Cochin International Airport was shut till Saturday after flood water completely submerged the runway. “Operations were suspended after water reached the runaway in the early hours of Wednesday. Most of the incoming flights are diverted to Thiruvananthapuram and Kozhikkode airports,” an airport spokesman said on Wednesday. The airport is situated near the bank of swollen Periyar river. Heavy flooding of the airport and surrounding areas was due to the opening of the shutters of Idamlayar, Idukki and Mullaperiyar dams. Sluice gates of a total of 33 dams have now been opened across the state. 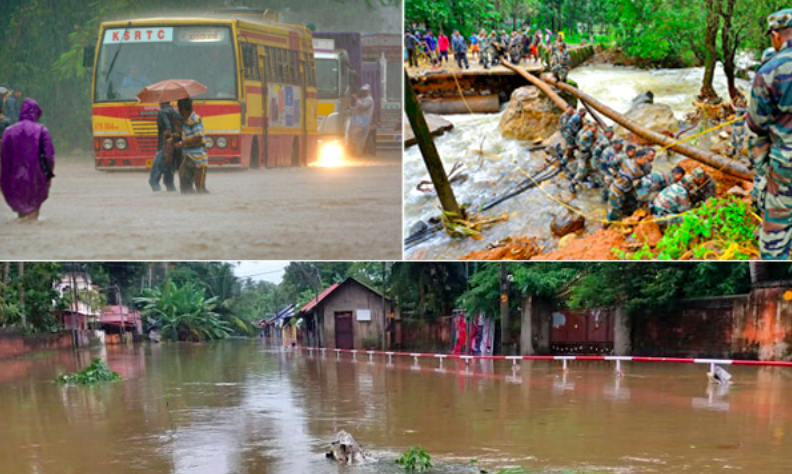 The Kerala government has sought more contingents of the army and the National Disaster Response Force (NDRF) to combat the serious flood situation in the state. A red alert has been sounded in 12 of the 14 districts of the state. The official death toll in rain, landslides and floods is 40 lives so far. Five people – three in Idukki, one each in Malappuram and Kozhikode districts are missing since Tuesday night. As rain continued, landslides cut off the hill station of Munnar. The government has asked visitors to avoid travelling to hilly areas after landslides and flash floods swept through many such areas. The worst-affected Idukki and Wayanad districts received 80 mm rain fall in last 24 hours, a spokesman of the Met office here said. “It is the worst calamity after the 1924 deluge. At least 443 villages in the state were declared flood-hit. Initial loss is pegged at Rs 8, 316 crore and the amount will go up once we get a clear picture,” chief minister Pinarayi Vijayan said on Tuesday after a cabinet meeting where it was also decided to set up a cabinet sub-committee to oversee relief operations. The shutters of all the 33 major and minor dams were opened. But the biggest worry is the discharge from Idukki dam. The situation became alarming after Tamil Nadu released water from Mullaperiyar dam earlier this morning. After water level in Mullaperiyar dam rose to 140 ft, the Tamil Nadu government began releasing 4500 cubic meters of water per second since 2.45 am today. This discharge from the dam would flow down to Idukki reservoir, which is barely 3 ft to its full reservoir level of 2403 ft.
As a response, the Idukki district administration allowed the Kerala State Electricity Board to increase the discharge of water at 1000 cubic meters of water per second from 6 am onwards. The government also issued an alert to people residing along the banks of Periyar river in Idukki and Ernakulam and asked them to move to relief camps. The hill shrine of Sabarimala remains cut off due to flooding in Pampa. Several areas in Wayanad district are also isolated. Landslides occurred in the hilly regions of Malappuram, Kannur and Kozhikode. Many rivers have breached its banks, and waters have entered homes. Widespread crop and property loss were reported due to heavy rains. 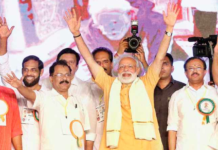 The Kerala government on Tuesday decided do away with the ‘Onam’ celebrations this year.